Normally in December, the WWE has the Clash of Champions, but this year it’s been replaced by the TLC. The Tables, Ladders and Chairs (TLC for short) event is going to be a suitable replacement and one that has many fans in quite a tizzy! Unfortunately, for a lot of us, we can’t watch the match live. We have to, instead, watch the reruns unless we’re willing to pay for an expensive cable subscription and an even more expensive pay-per-view license for this one event. However, this year that will not be the case. For this year, you’ll be able to watch the match live as it happens. How? Well, you will have to read this article to find out. Before we move on to the solution, let’s talk about the match itself. This year’s WWE Tables, Ladders and Chairs event will take place on December 16th in San Jose, California. The main match is set to start off at 6 PM EST aired exclusively on the WWE Network. This year’s line up is pretty great as well. There’s going to be an Intercontinental Championship between Seth Rollins and Dean Ambrose, as well as the Raw Women’s Championship which will include Ronda Rousey versus Nia Jax. Last, but this is also highly anticipated, is the Braun Strowman versus Baron Corbin TLC match. While not many other matches have been announced yet, there are plenty of TLC predictions looming around the internet; so you know this event is very hyped up. However, the problem with this year’s TLC event is that it is an exclusive pay-per-view event. Not all of us can afford to pay for our favourite shows in addition to cable TV prices and what not. It’s disappointing that the WWE Network has done this but there’s really nothing we can do about this. Or can we? As we said, we have a way of helping you to Watch WWE TLC online and also for free! You can simply watch the match on Kodi! What is Kodi, you ask? Kodi is an open source media content player which allows its users to watch media content like movies, TV shows, live TV and music videos. It also allows you to watch live TV as well- all for free. You just need to know the right add-on to use. And that’s not all. You can use Kodi from a range of operating systems such as Windows, Mac, iOS, Android and even Linux and Rasberry Pi! A lot of Kodi users have given up on cable TV because of the unlimited resources it has; they found this way is better than anything cable TV could offer. This includes watching exclusive content like Watch WWE TLC are free! So, what are you waiting for? The WWE TLC is only a few weeks away! Get Kodi to enjoy it LIVE for free! Of course, now that you know what Kodi is, you’re going to want to know the add-ons that will help you Watch WWE TLC. But before we move on to that, we’re going to talk about VPNs- for the users who’re not in the USA and might find that a lot of WWE content is region-blocked for them. So, you’re in a region that does not allow you to watch WWE events because it’s restricted, or perhaps your time zone blocks you because the event will be airing at a later time in your region? Well, you’re in luck because VPNs can help you overcome that problem. VPNs, short for virtual private networks, have the ability to ‘cloak’ your online activity. How so, you may ask. Think of it this way. When you switch on a VPN and begin to use the internet, your VPN becomes this barrier that encompasses you and the website you’re accessing. When using a VPN, for all intents and purposes, you’re invisible to everyone viewing from outside this barrier. This way, you can overcome any restrictions or censorships set into place by local authorities and allow you to access everything online. To bypass, geographic restrictions you must make sure that your VPN is using its own server in a country that allows the content you want to view to be seen by its people. So, to Watch WWE TLC and other WWE events, you need to make sure that your VPN is set to the USA- in particular, California. This way, you’ll be able to overcome the region-lock on your WWE event and you’ll be able to watch it on Kodi. But what VPN should you use? We recommend IPVanish! IPVanish is our favourite VPN service not just because it’s the world’s best VPN service but also because of the range of features it has. For one thing, it supports a number of operating systems such as Windows, Mac, iOS and Android. It also has a “zero-logs” policy which we’re very fond of. What does that mean? Well, “zero-logs” policy means that it does not record the initial IP of users accessing its servers; also does not record any activity or navigation history from its users. Some VPNs do that and we know that in case of troubles, authorities are very persuasive in getting information from server owners. After all, anyone could hack into a VPN’s server- no matter how secure it is; this is the twenty-first century and top researchers say that nothing today is unhackable. So, unlike other VPNs which will hold all of your data in their servers, IPVanish won’t have that. IPVanish is the best VPN for Kodi. We managed to get an exclusive 57% of IPVanish. So, with that out of the way, let’s look at some of the add-ons which you can download on Kodi to Watch WWE TLC event LIVE! We’re going to start this by mentioning the official Kodi add-on for all things related to the WWE. You can watch the Tables, Ladders and Chairs event live using this add-on. It’s an official add-on so we’re pretty confident in its ability to show you the event live in high quality. Since this is an official add-on you’ll need to pay for it; but it’s still going to be a lot cheaper than cable TV plus pay-per-view. 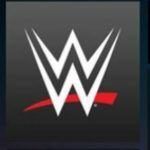 You can follow the instructions here to get WWE Network on your Kodi device. Next on our list is the UKTurk Playlist. It’s a third party add-on on Kodi but it is one of the best add-ons on Kodi to watch WWE related content. 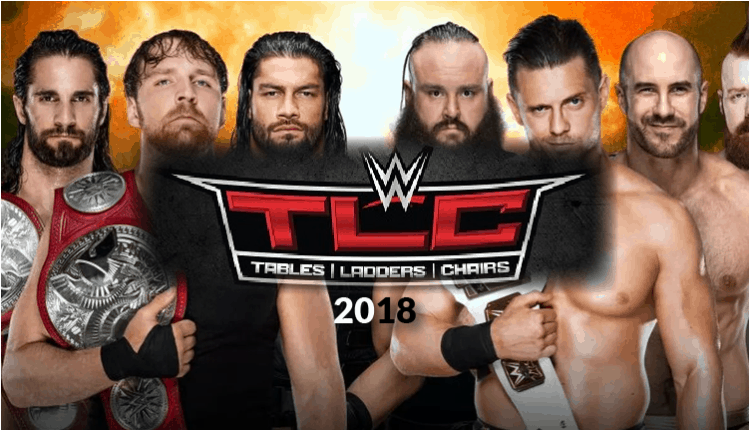 It has a range of working live streaming links as well as live IPTV channels lists; this way you can use it to Watch WWE TLC in December. It also offers free access to older shows like the WWE TLC in 2017 and before so if you want to watch those as you wait for this year’s match. We’ve got a detailed guide on how to set up and install UK Turk’s Playlist, so check out the instructions for more information. No sports post would be complete without the best sports add-on of them all. 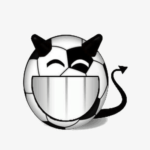 SportsDevil has been around for years and it has everything you could possibly want. While it’s not specific to wrestling, there are lots of wrestling streams available & you can also watch basketball, football, soccer and more. It’s essentially an all-in-one sports add-on which we recommend; it allows users to watch all of their favourite sports events live. There are a whole bunch of free streaming links to pay-per-view events as well; so you’re saving a lot of cash while you use this. Check out our new SportsDevil install guide to get it all configured correctly. As you can see, it’s quite easy to Watch WWE TLC this year. Kodi is you best bet to watch WWE and other Live Sport events for free when you use the right addons; also a VPN like IPVanish will help you circumventing geographic restrictions if you connect outside the USA guarantying as well you stay on the right side of the law. We hope that you enjoyed this post and that you’ll use the information we’ve provided you to Watch WWE TLC event live this year!